Choosing a WordPress theme can be very exciting yet, difficult. With hundreds and hundreds of themes offered, it is confusing to know exactly what you want your theme to do in conjunction with how you want your domain to look. The first step in choosing a theme that is right for your domain is to think about what features you desire. For example, a domain that is used for a blog may be useful with a sidebar*. *A sidebar allows for more content to be shown off to the side from your main content. This can either be a positive or negative feature depending on your personal preference and the intentions of your domain. The Tech Bar recommends that you choose a theme with full width template. 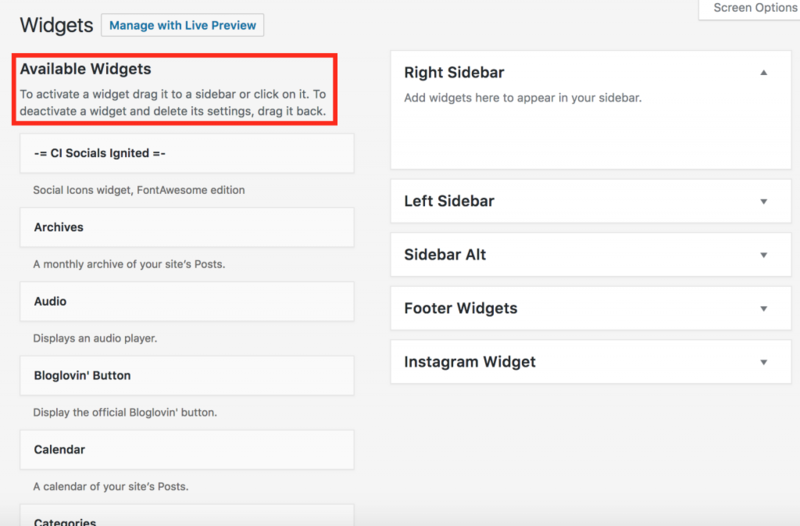 This allows you to remove the sidebar, page title, and the comments. It also stretches the layout to full width. It makes your theme much more user friendly whether it is on a desktop, laptop, or mobile phone. WP will redirect you to the featured themes automatically. In order to refine your search, click on the “Feature Filter” tab at the top of your screen. Here, you’ll be able to check the boxes that correspond with your desired features. The “Subject” section narrows down themes that WP recommends for different domain purposes. “Features” are different ways to customize the appearance of your theme. “Layout” changes the overall look of your domain. 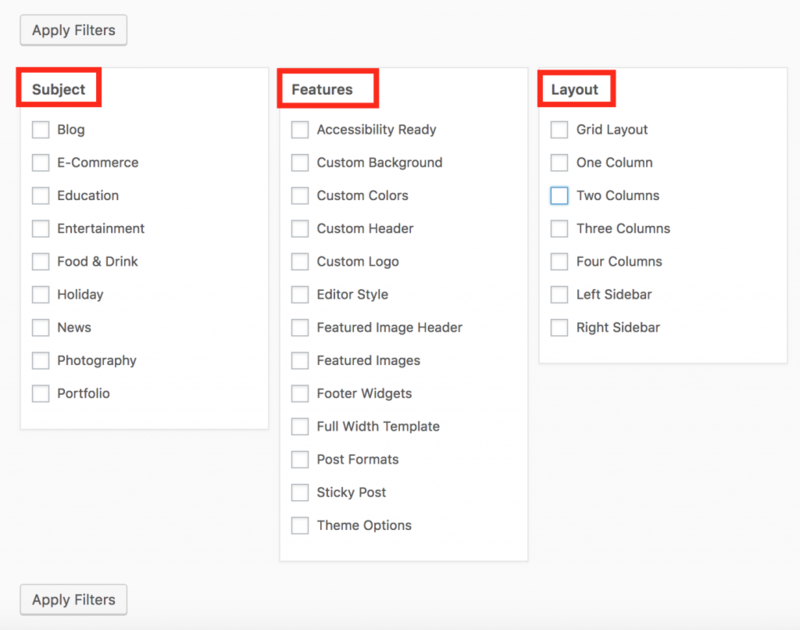 Once you have chosen the features you desire, click on “Apply Filters.” WP will narrow down different themes based on what features you have applied. It’s important to play around with different themes to become acclimated with features that work best for your domain. Try different features to really get a feel how each of them work and how they will affect your domain. It is important to remember that some themes work differently than others when you go to customize them. Choose a theme that not only looks good but is also compatible with you and your content. If you have fallen in love with a theme but notice that it still doesn’t include every feature you desire, incorporate widgets. A widget allows for plugins to be featured on your domain that provide functions to already installed themes. For example, if you were looking to add social media icons to the homepage of your domain, you would type in “social media” in the search bar. Dozens of plugins will pop up. It is important to read and explore different ones that you think will be best for your domain. Once you have found the one, install it and activate it. Themes and widgets are important to explore in order to make your domain a true domain of your own. The combination of different themes and different widgets makes the creative possibilities endless. This entry was posted in Domains, Student Posts, Tech Bar. Bookmark the permalink.